Core values reflect beliefs, and company culture reflects attitudes and behaviours – together they define the “heart” and perhaps even the “conscience or soul” of an organization. But, beyond these traditional HR and leadership tenets is the more fundamental concept of what we call the organizational spinal cord. What did our review and analysis show? Despite differences among their geographic locations, product and service offerings, market segmentation, and corporate governance structures, there seemed to emerge a set of shared tenets driving their operational practices. 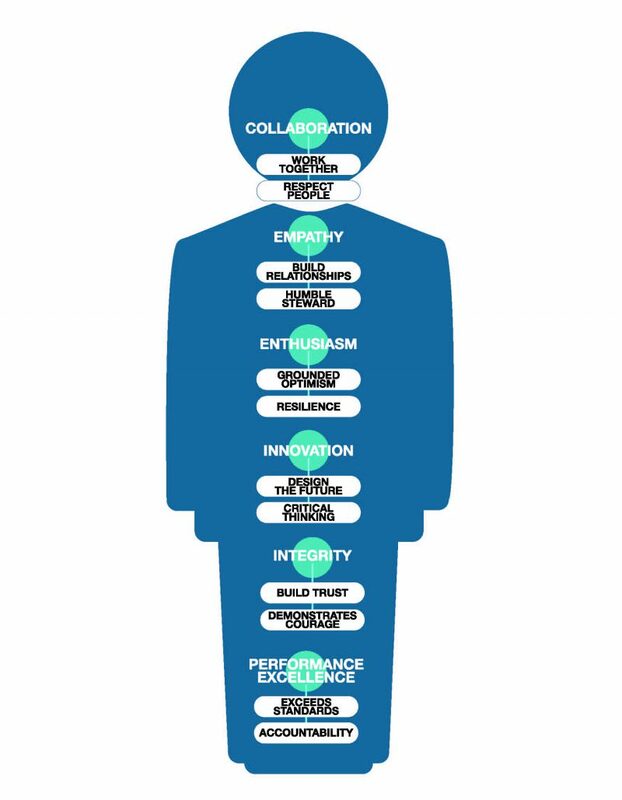 Simply stated, we identified six variables that defined a common “organizational spinal cord” across these top companies. Below is the “spinal cord” we conclude is stimulating today’s top hospitality brands – inside and outside the hotel world. It might appear deceptively simple or intuitive, but notice it consists of six meta-variables (ordered alphabetically), with each defined by two primary variables. This spinal cord forms a “nerve pathway” of key performance indicators (KPIs) that integrates Execution, People, and Cognitive practices.